(use the back button to return to this page). The modest mermaid was the first to get a prize - click on her for detail showing the use of shells, seaweed, etc, which impressed the judge. Ronnie's own website is well worth a visit - pictures of the huge granite lion and other animals which are lying around the entrance to the Scottish Parliament from Holyrood Park. 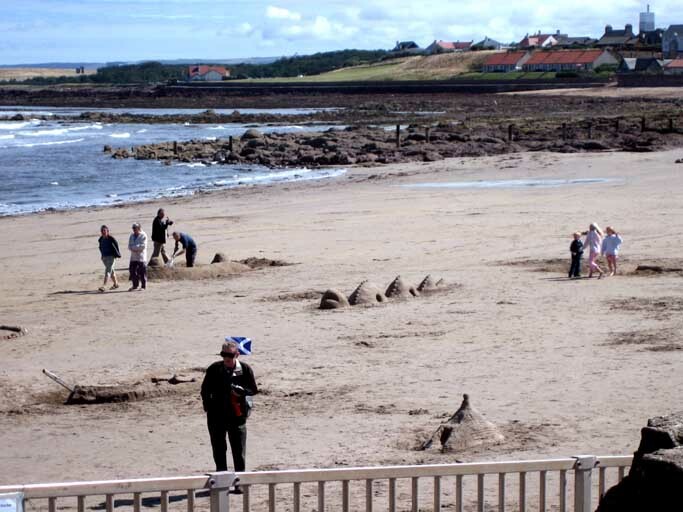 Also the massive granite fish which was down at Skateraw, a few miles south of Dunbar, in summer 2005 when Richard Demarco's archive was exhibited there.